Each part of the motorcycle needs specific care. 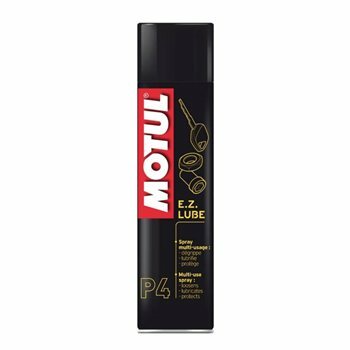 Launched in 2011, Motul® MC Care™ line has been developed to fully maintain and care for the motorcycle, the motorcyclist and their equipment.Product category: Mechanical Parts MaintenanceMotul® MC CARE ™ P4 E.Z. Lube is a multi-purpose fluid lubricant: unblocks, lubricates and protects from corrosion all metal parts by depositing a protective film.